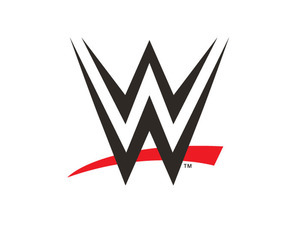 This past March, the Court rejected claims by two wrestlers that the WWE “had a duty to disclose, and failed to disclose, known information linking WWE wrestling with CTE, are the plaintiffs’ now-dismissed allegations that WWE executives, in several specific public statements, fraudulently misrepresented the risk of CTE to current and former wrestlers.” The Court only agreed to hear one claim: that the WWE failed to disclose the risk and danger of head injuries leading to CTE, thereby keeping wrestlers from making their own risk-assessment decisions about continuing wrestling. If the Court does find that WWE failed to disclose this important information o wrestlers, then future claims could potentially be freed of Connecticut’s statute of limitations, opening the door for more wrestlers to come forward. CTE is a progressive degenerative brain disease that is common in athletes who have suffered long-term repetitive head traumas. CTE causes tissues in the brain to degenerate and die, and changes the chemistry of the brain. The disease is known to cause memory loss, aggression, impaired judgment, depression, and ultimately progressive dementia. Both the National Football League (NFL) and the National Hockey League have faced similar class action lawsuits regarding CTE. In 2013, the NFL settled a case by paying $765 million to over 5,000 former football players. Continuing into 2016 the WWE has fraudulently misrepresented and concealed from the Plaintiffs the nature, extent of the occupational long-term neurological injuries that are present in each of the Named Plaintiffs as a consequence of their wrestling careers. Some of this activity specifically includes: WWE’s public statements questioning the CTE diagnoses in the Benoit and Martin deaths; WWE’s large financial contributions to the Concussion Legacy Foundation, which has ignored any study, care or treatment plan of the named Plaintiffs; WWE’s ongoing drug and alcohol programs that directly target retired wrestlers with neurological diseases caused by wrestling, which WWE characterizes as “humanitarian gestures” have delayed and prevented the Plaintiffs from obtaining diagnosis, treatment, and information necessary to prevent additional and ongoing harm. Unlike NFL and NHL players, the wrestlers involved in the lawsuit specifically implicate their sports organization in causing CTE because of the “scripted, controlled, directed and choreographed” nature of the matches.